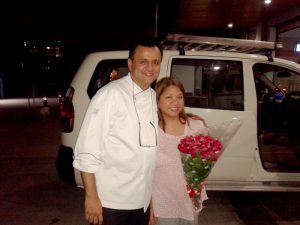 Gina Makawana came to India for the first time in 2006, when she accompanied her husband, who worked as a chef with The Oberoi Amarvilas, Agra. They stayed there till 2008. 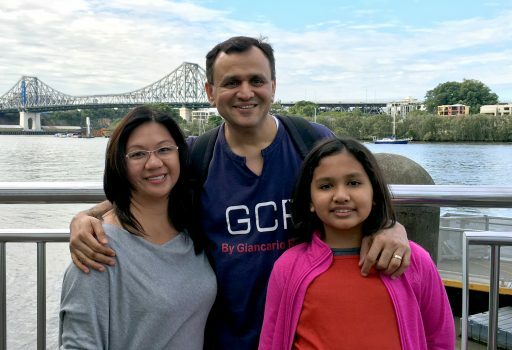 Three years later, the couple moved with their daughter to Chennai, when Gina’s husband took up the position of Executive Chef at the Leela Palace Chennai. 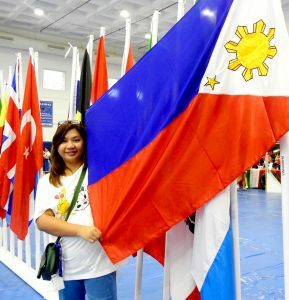 The Filipina says she enjoyed her stay in the North, but finds people in the South are more friendly (albeit more conservative, too). 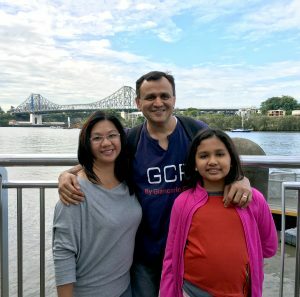 She shares with us her experience of life and living in India. Coming from the Philippines, when we found out that Chennai has the longest beach, we were very excited! We even rented a house near the beach. Unfortunately, it is different from the beach we imagined. However, things have changed a lot since our arrival in Chennai in 2011. When we first came here, we had to endure power cuts, and found it difficult to source imported groceries. Now, everything is available in the malls, and you have all foreign brands available. The city’s skyline has changed – more high-rise buildings are coming up, signalling growth and development. I love mutton biryani, especially cooked with the whole fresh carcass of lamb. People here usually eat it with curd but I prefer to eat it with gorkeri (sweet mango pickle). We often get invited by our friends to celebrate Diwali with them. It was a great experience, more so for our daughter, Sophia. She loves the sparklers! The whole city was lit up with all the fireworks. That is also the time of the year where we receive a lot of Indian sweets, chocolates and nuts from friends. We have been to Udaipur, Mumbai, Bengaluru, Delhi, and Goa (my favourite as it reminds me of my home in the Philippines). Before we leave, we would love to visit Kashmir – I have heard a lot of good things about it. I love the spices I get here! I cannot cook biryani without them. I am lucky to have a husband who is a chef who can make me Indian food even after we leave the country. I also find Indians and Filipinos to be very similar when it comes to family. We maintain very close family ties, and have large extended families. The art! I find the people here to be very artistic, from the daily rangoli that ladies create in front of their homes to the mehendi they put on their hands and feet. I will be taking some detailed miniature paintings from Udaipur and marble inlay work from Agra. And a lot more – so long as they fit in my luggage!